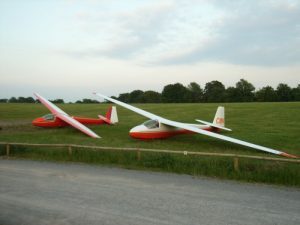 Two seat gliders are used for all initial training including trial lessons. 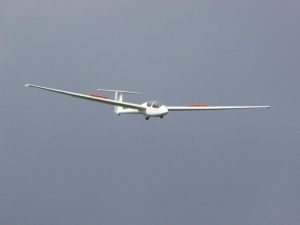 They provide full dual controls so the instructor can fly the glider or demonstrate techniques to the pupil. Once they are competent to fly on their own pupils will be "sent solo", flying a familiar two seat glider without an instructor in the back. Following on from this pilots spend more time flying single seat gliders, but two seaters are still used for check flights, qualifying tests and advanced training. This high performance two seater has a glide angle 45:1, a 20 meter wingspan, water ballast and a retractable wheel It is used both as a normal training two seater and for advanced cross country and competition training. It is fully aerobatic when flown at 17 meter wingspan and can carry water in a tail tank to enable spin training with even the heaviest pilots. This glass fibre two seater is specifically designed for basic training. It has very pleasant handling and is very docile in it;s stall characteristics. While this limits its use in the later stages of training it makes it ideal for first flights and early solo use. With its large cockpits it is often used for trial lessons. It soars well and has similar performance to the "Baby Grob". Grob103A Twin II Acro "P70"
This glass fibre training two seater has slightly better handling and performance than the ASK 21, even bigger cockpits and powerful airbrakes. 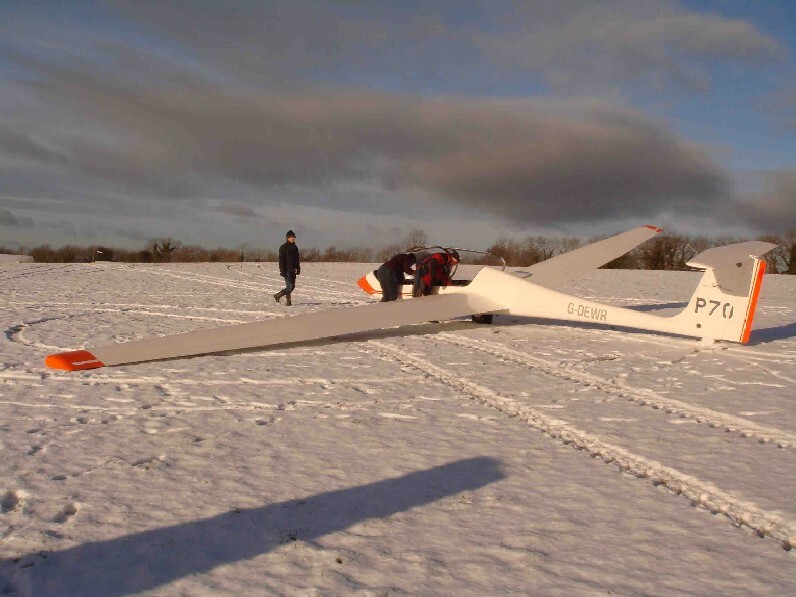 It makes and excellent glider for training and trial lessons (albeit with slightly restrictive weight limits). It can be persuaded to stall and spin with medium weight pilots. The club has a variety of single seaters which you will start to fly once you have gone "solo". They range from a number of easy to fly gliders suitable for pilots in the early stages of their solo flying through to a high performance single seater suitable for longer cross country flights or competitions. This basic single seater has wings constructed from wood and a steel tube fuselage, both with fabric coverings. 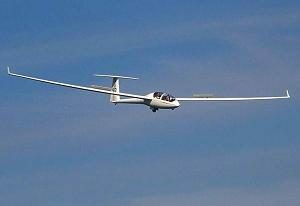 Many people love these light and easy to fly gliders, they climb well in thermals but only glide at 25:1 at 40 knots so have no high speed performance and have to be left safely in their hangar on windy days. 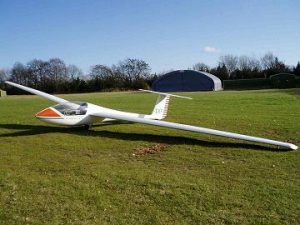 Recently refurbished our Ka8 makes a great machine for local soaring and is ideal for early solo pilots in calm conditions. Often known as the Baby Grob". The Club has owned this much liked basic glass fibre single seater for over 20 years. 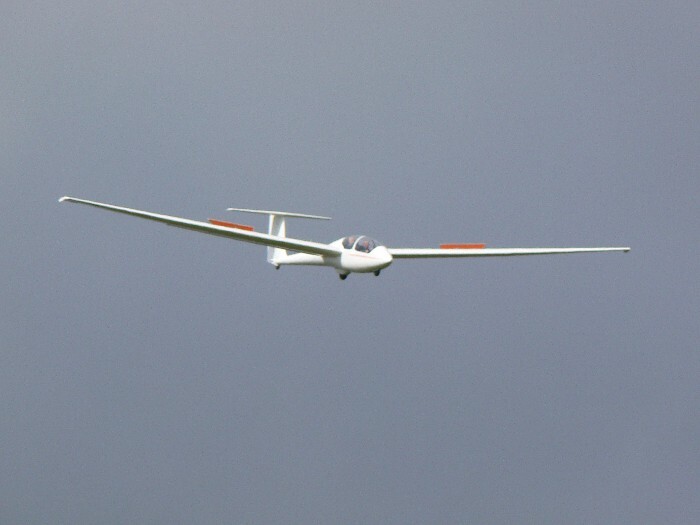 With its non-retractable wheel and old-fashioned thick wing section it does not quite the performance of modern competition machines but a 35:1 best glide angle makes for easy local soaring. 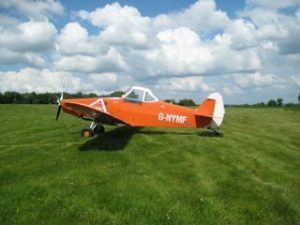 Its very good air-brakes, stable handling and it's performance and comfortable cockpit make it a favourite for early cross-country flights and first field landings. 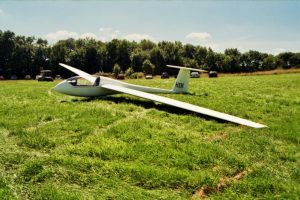 This high performance single seater has a glide angle of over 40:1 making it suitable for cross-country flights of up to 500km (given the right pilot !). 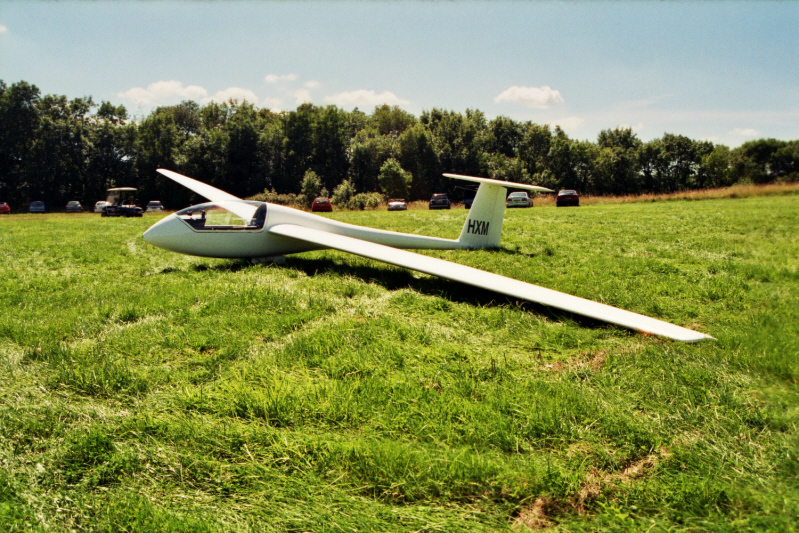 It has very pleasant handling, a large cockpit and very good brakes, it is thus an ideal Club cross-country glider. Bristol University Astir CS "HXM"
This single seater is much like the Club "Baby Grob" see above, except that it has a retracting wheel. It is the older model and is slightly heavier in roll but still has quite acceptable handling. It is available for Club use when not being used by the University. The BGGC offers launching by both winch and aerotow. This allows us flexibility in varying weather and soaring conditions and also helps provide launching capacity on busy summer days. Single seat, low wing 235 HP Lycoming Engine, tail dragger, designed as a crop sprayer. Tractor like in its handling and fuel consumption but very good on turbulent days and for launching heavy gliders. The BGGC operates two Supacat winches, designed and built by SC Group, a specialist military vehicle company. 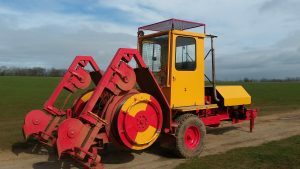 Each two drum winch is powered by an air cooled diesel engine and uses a level-wind, paying-on mechanism and large swiveling pulleys. These powerful winches can launch even heavy two seater gliders and provide a fast and effective way of getting airborne.